You might be using an outside billing company, a central business office or practice staff to provide medical billing services. And you might be feeling pretty great about the work they do. But how do you really know they’re doing a good job? Unfortunately, even if everything seems to be going great, they could be making big mistakes that will seriously cost you. Luckily there are some key metrics that will help you understand the quality of the service you’re receiving. Additionally, there are helpful processes that will help you ensure a successful revenue cycle. This program meets AAPC guidelines for 1.0 CEU. Can be split between Core A , CPCO and CPMA for continuing education units. On-Demand views require successful completion of post-test for continuing education units. 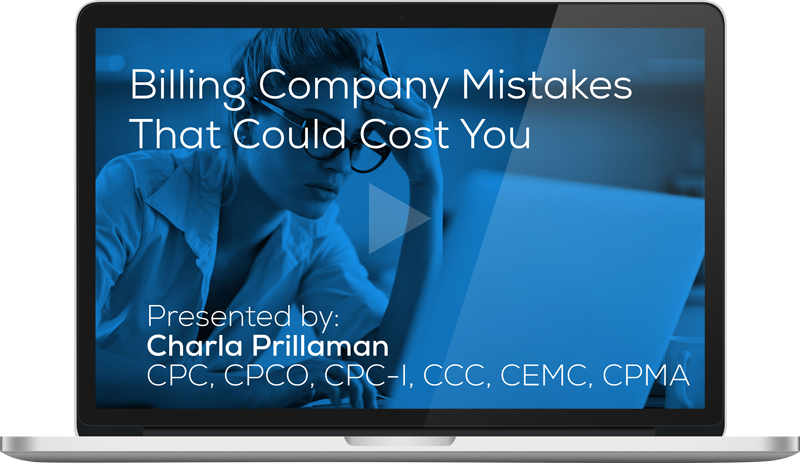 You will receive your CEU in a separate email after watching the on-demand recording.